Add customizations onto your WordPress installation package! With our Deluxe Customization Package, we’ll personalize your theme to match your brand & add the features you need on your website. What is a customization package? 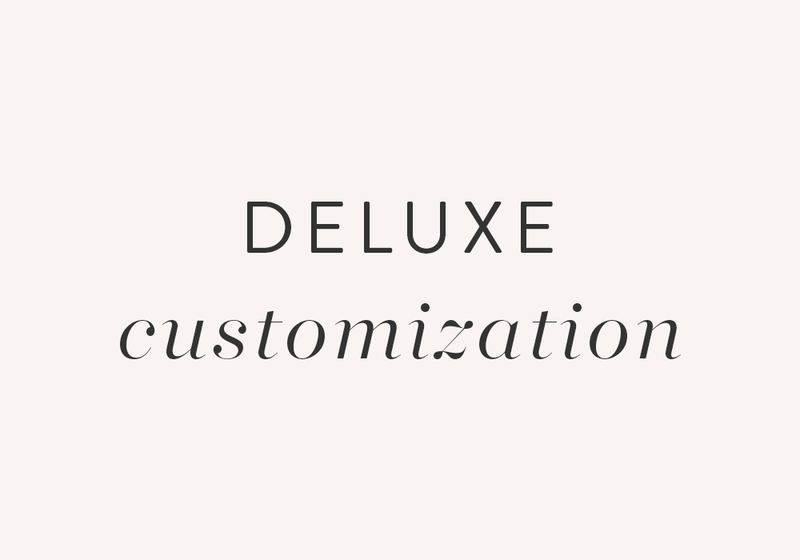 Our Mini and Deluxe Customization packages are add-ons for theme installation. Customization packages are not available a la carte and must be purchased along with installation. If you have any questions, don’t hesitate to contact us! Purchase this customization listing along with your theme installation package. After placing your order, we’ll contact you to request your details for customizations. Your customizations will be installed on your website at the time we install your theme.